A quick and easy find on a great day out benchmark hunting with chiknlips45. Fascinating site with a long history. We examined each of the tower locations during our visit. A great shot of chiknlips45 photographing the disk. 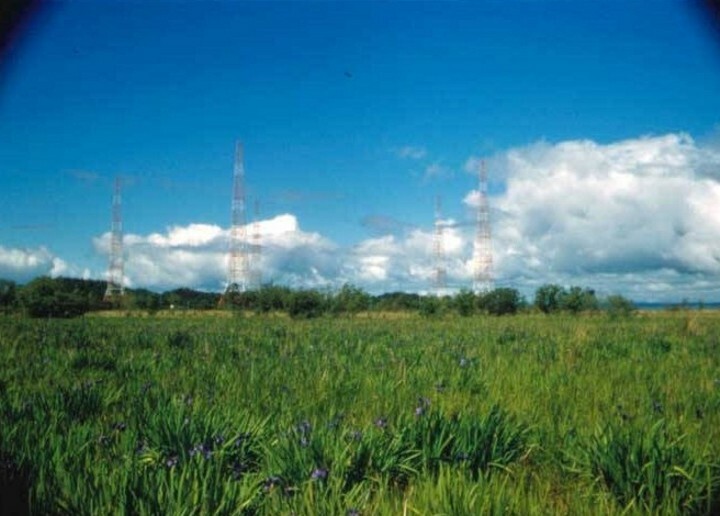 The once-mown field is now overgrown with brush - a far cry from the well-kept appearance this CAA/FAA low-frequency radio station once displayed. 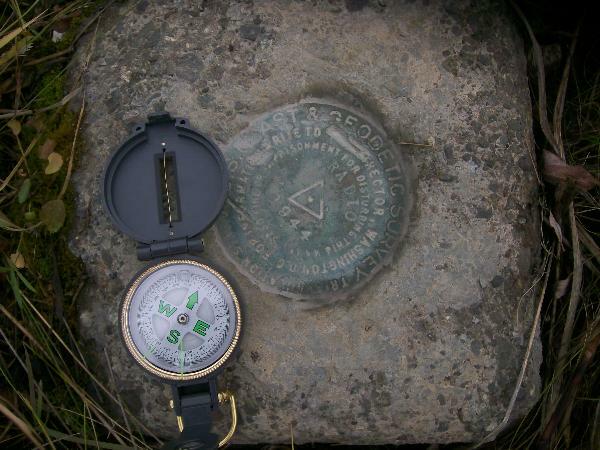 A nice artsy shot of chiknlips45's compass on the monument setting. One of four tower leg bases at Tower 5. 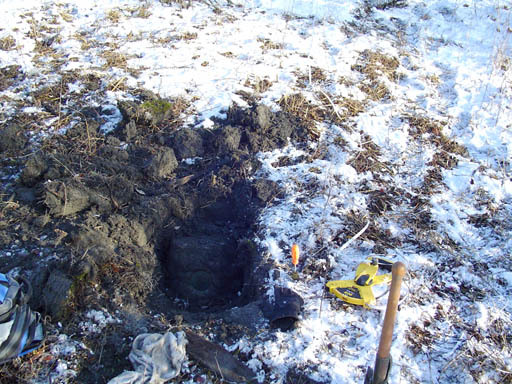 Near tri-station RADIO is EKLUTNA RADIO TOWER 5 (logged by myself as destroyed). However, as chiknlips45 & I were looking over the remnants of Tower 5, chiknlips45 remarked 'you know, the data sheet says "POINT OBSERVED UPON AND TRAVERSED TO IS THE CENTER OF BASE" - even though the setting is described as "MARKER: 43 = RADIO/TV TOWER". This is the center of base... is it the mark? Station recovered in great condition. 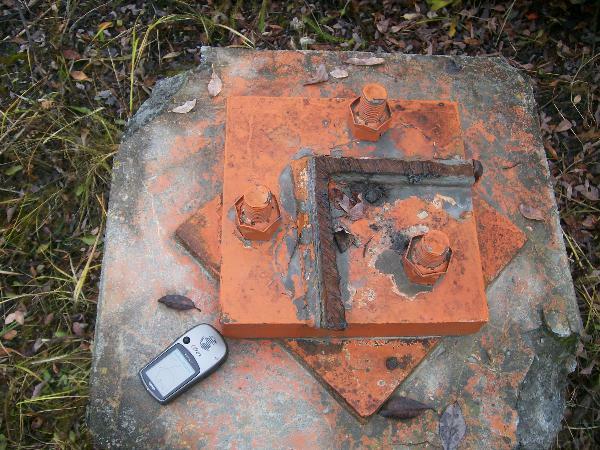 Reference Mark 1 recovered approximately 6 inches below ground level in poor condition at N 61° 27.914, W 149° 20.695. Reference Mark 1 disk and monument are now on their side with Reference arrow pointing skyward. 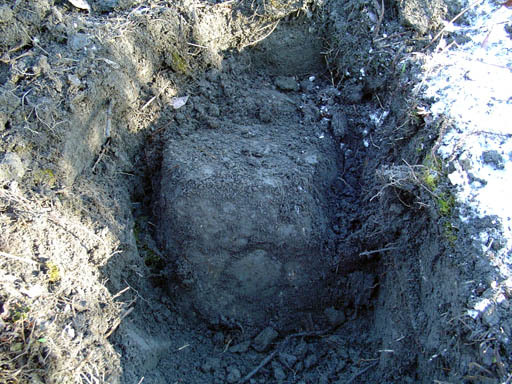 Reference Mark 2 recovered in good condition at N 61° 27.914', W 149° 20.661' about 2 inches below ground level. 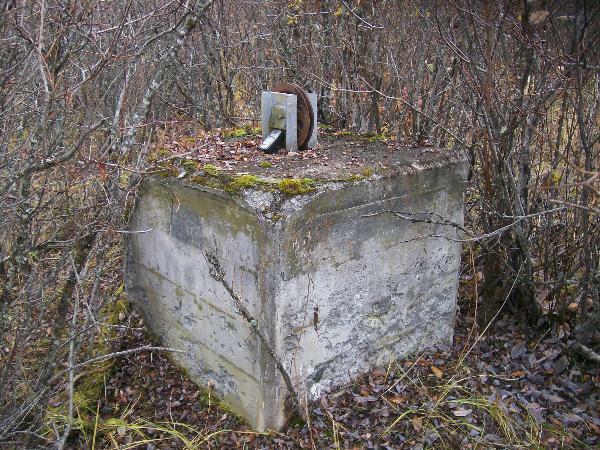 A search for EKLUTNA (UV4386) azimuth mark was not conducted. 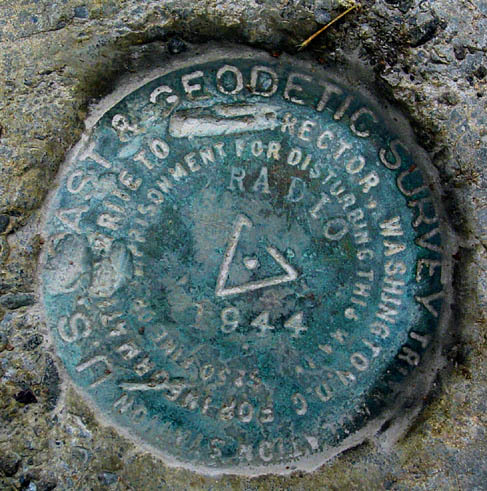 DESCRIBED BY COAST AND GEODETIC SURVEY 1944 (JCS) ABOUT 6-1/2 MILES S OF MATANUSKA, ABOUT 1-1/4 MILES NE OF SMALL VILLAGE OF EKLUTNA ON THE ALASKA RAILROAD, ABOUT 0.2 MILE N OF THE PALMER ROAD, AT THE EKLUTNA RADIO STATION. THE STATION IS ABOUT 125 FEET NW OF THE SW RADIO TOWER AND ABOUT 225 FEET S OF THE MAIN BUILDING OF THE RADIO STATION. IT IS IN THE S CENTRAL PART OF THE 5 RADIO TOWERS. THE MARK IS STAMPED RADIO 1944 AND PROJECTS ABOUT 4 INCHES. 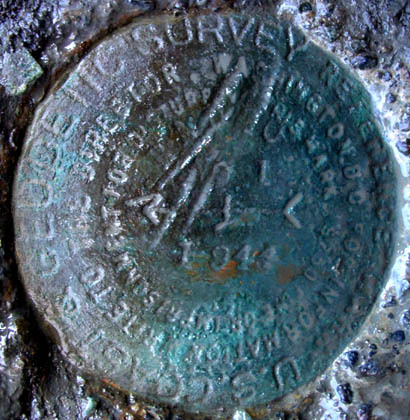 SURFACE, UNDERGROUND, AND REFERENCE MARKS ARE BRONZE DISKS SET IN CONCRETE. REFERENCE MARK 1 IS IN AN OPEN FIELD AND IS ABOUT 125 FEET N OF THE SW RADIO TOWER. THE MARK PROJECTS ABOUT 4 INCHES. REFERENCE MARK 2 IS 11 PACES W OF GRAVEL ROAD. THE MARK PROJECTS ABOUT 4 INCHES. 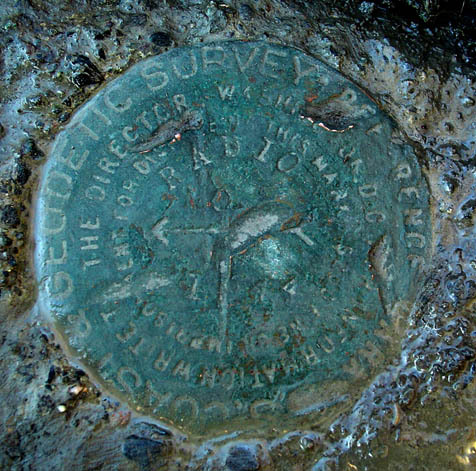 REFERENCE MARKS ARE STAMPED WITH NAME AND DATE OF THE STATION AND WITH THEIR RESPECTIVE NUMBERS. 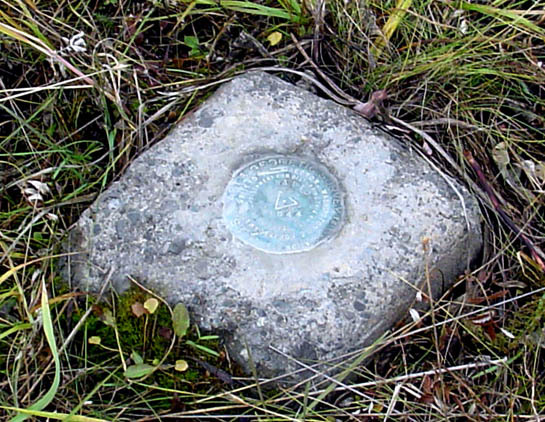 TRIANGULATION STATION EKLUTNA WAS USED AS AN AZIMUTH MARK. TO REACH STATION FROM ANCHORAGE, GO N AND E ON THE PALMER ROAD FOR 27.2 MILES TO RAILROAD CROSSING. 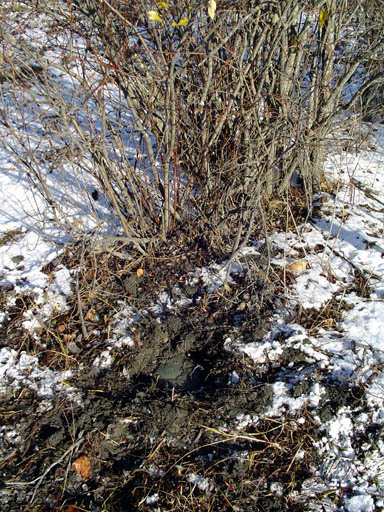 CONTINUE FOR 0.3 MILE TO SIDE ROAD LEFT LEADING TO EKLUTNA RADIO STATION. THEN TURN LEFT (N) AND GO 0.25 MILE TO MAIN BUILDING, TURN LEFT AND GO DUE S ABOUT 225 FEET TO STATION IN GRASSY FIELD.